I love that line. “Who would know by looking at a map?” She’s right, of course. A map alone can’t tell us what’s in inside those dots and beside those lines. We need more — and Jean Fritz gives us more. My love for maps borders on obsession (pun intended). Maps are part of me, as a third culture kid who lived in three countries and two continents by the age of eight. But life, of course, isn’t found in geography or topography or any other cartographical term. As Jean Fritz knew, life is hidden in the stories — in the buzzing, humming swirl of life happening under each dot on the map. And when we go back in time, maps change. The further we rewind time, the more we can see the delicate choreography of maps as borders shift, fluidly, pushed and pulled by the passage of time, by conflict, by wars, by revolutions, and — oh yes, — by individual people. Where others see maps and facts and stacks of information, Jean Fritz (born in 1915) sees the woven thread of humanity connecting it all. She has a gift for sifting through history pulling out the human element. She sees the story, always. In her books, she dives deep into the past, filling in the blanks, figuring out the conversations which must have taken place, and telling us what might have been on the dinner plates back then, what pets might have wandered in and out of the homes, what motives pushed hearts along, and what could have tickled the funny bone of historical figures. Her books always open my eyes, once again, to the fact that each upheaval in world history did not occur in a vacuum, separate from people, but in between and around the very real lives of men, women, and children who were flesh and blood like we are — people who slept, dreamt, woke up, ate breakfast, got frustrated, faced pain, experienced love, and so much more. Yes, timelines and dates are important in a study of history, but history remains flat unless we flesh it out with stories of real people, real lives, real loss and real triumph. 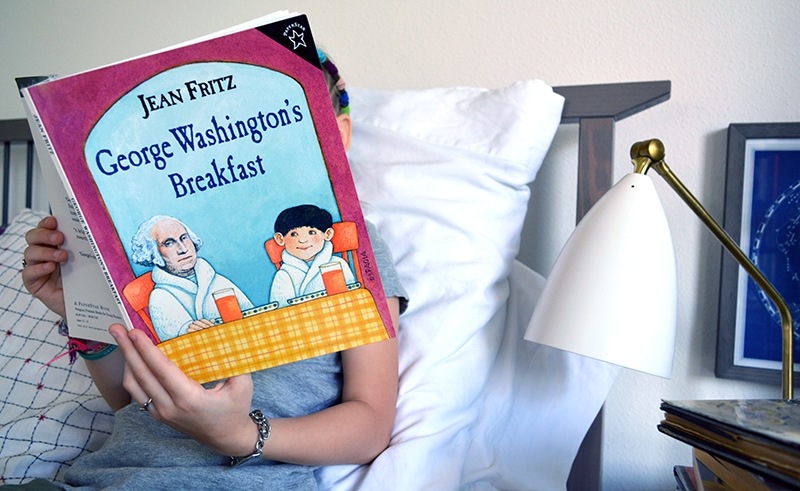 While Jean Fritz doesn’t downplay the rougher edges of certain historical events, she always manages to sensitively connect historical puzzle pieces with a light, lifting sense of humor. In “And Then What Happened, Paul Revere?” you’ll find yourself laughing out loud while reading lines like, “You would think that with all Paul Revere did, he would make mistakes. But he always remembered to put spouts on his teapots and handles on his cups. The false teeth that he whittled out of hippopotamus tusk looked just fine.” This reminds us of Paul Revere’s humanity, and reminds us historical figures were so more three-dimensional and dynamic than the austere unsmiling portraits of old would have us believe. • …the dynamics of life as a third culture kid, cross-cultural navigation, the melting pot of 1920s China, and China’s civil war, unrest, and move from imperial government to Communism. • Novel-length autobiographical chapter book. 176 pages; illustrated with family photographs. For upper elementary and middle grades to adult. A personal favorite, as it so perfectly captures the emotions which go along with being a third culture kid. • …the story begun in Homesick, the idea of defining home as a third culture kid, how Fritz’ unique upbringing as a third culture kid continued to affect her as an adult, the evolution of China from the mid-1920s to the mid-1980s. • Memoir. Sequel to Homesick: My Own Story. 144 pages; illustrated with family photographs. For upper elementary and middle grades to adult. A personal favorite. • ...Chiang Kai-shek, Mao Zedong, the little-known story of the overland military march across China during the winter of 1934, the reasons behind the Nationalist versus Communist skirmish, and what life was like on the ground. • Narrative history book; 124 pages. Illustrated with sketches and hand-drawn maps. For middle and high school ages. • …the humorous disparity between where Columbus believed he was and where he actually was, his relationship with his crew, and how he interpreted the geography of all the unusual discoveries he encountered. • Illustrated chapter book. 80 pages; great for upper elementary grades. • …geography, exploration, how the current depiction of continents on a map came to be determined, Prince Henry the Navigator, Bartholomew Diaz, Christopher Columbus, Vasco de Gama, Pedro Álvares Cabral, John Cabot, Amerigo Vespucci, Juan Ponce de León, Vasco Núñez de Balboa, and Ferdinand Magellan. • Narrative history book. Illustrated with sketches and hand-drawn maps. 128 pages; best for middle grades. • …George Washington, perseverance, curiosity, and an age-appropriate example of fact-finding and research. • Illustrated chapter book, with art by Tomie de Paola. 48 pages; delightful for kindergarten and up. • …George Washington and his siblings, his mother Mary Ball Washington, and Ferry Farm in Fredericksburg, Virginia. • Illustrated early reader, 48 pages. Ideal for emergent readers. • …what life was like for a young girl during isolated frontier life after the Revolutionary War. • Early chapter book, 128 pages. An independent read for grades 3 and up. • …one of the early (1950s!) picture books by Jean Fritz, and the high jinks of a cat who lives near a wharf and ends up on a fishing vessel. • Out of print hardback picture book, but available fairly inexpensively. 22 pages; delightful for children of all ages. • …Samuel Adams, his dog Queue and his cousin John, the Boston Tea Party, and how Sam Adams finally learned to ride a horse. • Illustrated chapter book. 48 pages; perfect for grades 1 and up. • …the journey (yes, journey!) of the famed rock, how much of a role it actually played in the Pilgrims’ landing, and the oft-humorous efforts to preserve it. • Plymouth, Massachusetts; 1620 through 1920. • Illustrated chapter book. 32 pages; perfect for grades 1 and up. • …the details surrounding Paul Revere’s midnight ride, life in colonial Boston, and Paul Revere’s interests, occupations and hobbies. • Illustrated chapter book. 48 pages; great for grades 2 and up. • …King George III, Princess Charlotte of Mecklenburg-Strelitz, the English side of the American Revolution, and the crown’s perspective on the loss of the American colonies. • Illustrated chapter book, with art by Tomie de Paola. 48 pages; ideal for grades 2 and up. • …the colorful and energetic John Hancock, how he swayed opinion and gained influence, and his involvement in the Continental Congress and the signing of the Declaration of Independence. • Illustrated chapter book. 48 pages; ideal for grades 3 and up. • …Patrick Henry, how he spent his childhood, the Stamp Act and the political situation leading to the famed Liberty speech, and his rural Red Hill property. • …the life of activist Elizabeth Cady Stanton, women’s suffrage, voting rights, the US Constitution, and the ratification of amendments. • New York State; 1894. • Illustrated chapter book. 96 pages; ideal for upper elementary and middle grades. • …the Constitutional Convention’s role in drafting the Constitution, various state delegates and their differing opinions, the Virginia Plan, and the branches of government. • Illustrated chapter book, with art by Tomie de Paola. Includes the 1787 text of the Constitution. 64 pages; ideal for upper elementary and middle grades. • …Gilbert du Motier, the Marquis de Lafayette who served under George Washington, France’s involvement in the American Revolution, political intrigue and how one might choose national allegiance, and the French Revolution. • Illustrated chapter book. 88 pages; ideal for middle grades. • …the Age of Sail and the Westward Expansion, life on the Eastern Seaboard, a fictional teen boy’s coming of age and struggle between the family farm and the call of the sea. • Novel-length chapter book. 256 pages; ideal for middle grades. • …what it meant to be a Tory or a Whig/Patriot, what life was like for a fictional teenager on the during the American Revolution, and how a person in politically tumultuous times might choose sides in a conflict. • Novel-length historical fiction. 256 pages; best for middle grades. • …the National Parks, the Wild West, Roosevelt’s adventurous explorations and escapades both domestic and international, and Roosevelt’s action-packed path to the Presidency. • Novel-length chapter book. 128 pages; ideal for middle grades. • ...James Madison’s role as a Founding Father, the Continental Congress, his Presidency, the War of 1812, and First Lady Dolley Madison. • Chapter book, 160 pages. Illustrated with historic portraits, maps, photographs of artifacts and more. Ideal for middle grades. • ..slavery, the Underground Railroad, how a young person comes to make decisions about morality, and the ins and outs of personal relationships during a time when the nation was on the brink of division. • Chapter book, 224 pages; great for middle grades. Jean Fritz has a unique ability to see herself as an onlooker in the midst of not only revolutions, but also tender, private moments. This insight gives her books a captivating quality few other writers of our time (she’s 101 years old!) have been able to achieve. 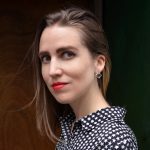 In the way she writes, she shows us how history is simultaneously more complex, and yet more down-to-earth, than we could ever have imagined. In her American History books, she puts cloak of humanity on larger-than-life figures, and in her books about China, she shows us how ordinary kids can be living in the midst of history and not even realize it. 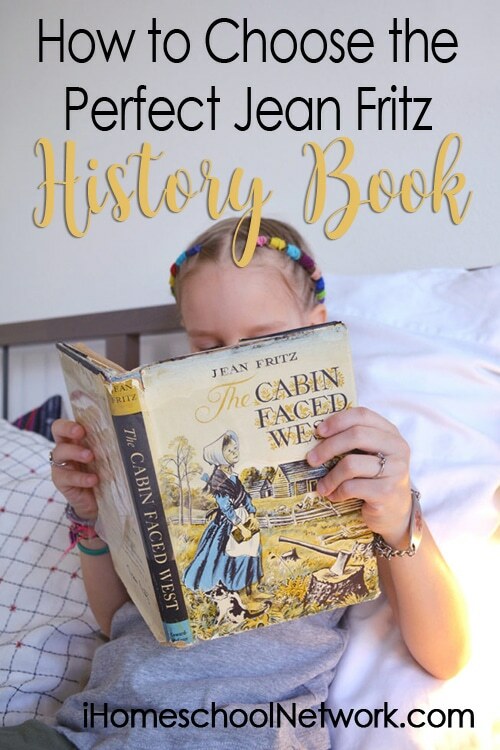 Jean Fritz’ living history books are a terrific way to incorporate a narrative, storytelling approach into to your homeschool history lessons. Gina Munsey is a Mexico-born, Eastern Europe-raised missionary kid who ended up in Nashville, Tennessee. A blogger for 16+ years, editor, magazine contributor, co-op teacher, and writer who has only completed four chapters of her languishing memoir, Gina spends her days full of coffee and adventures while helping her asynchronous daughter with Chinese homework. 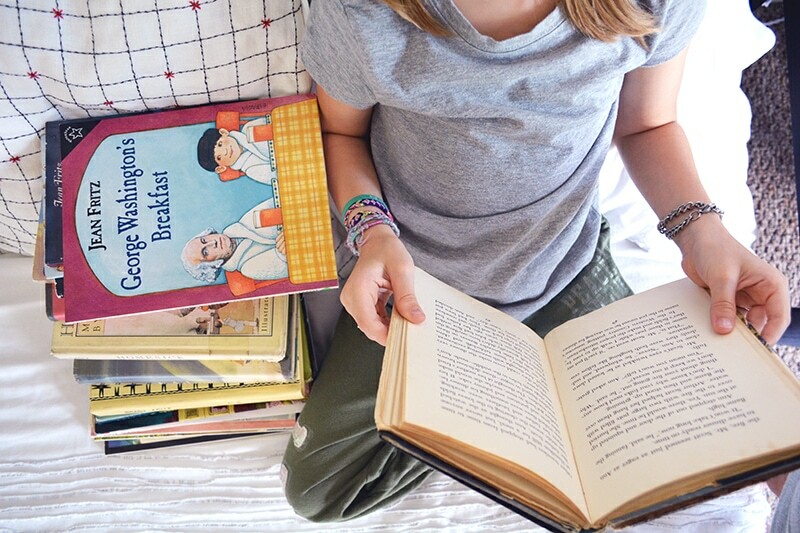 On any given day you can find them both in the middle of [home]school surrounded by stacks and stacks of books.